How Do I Know If My Business is a Passive Activity? In the last post, we discussed the consequences of having your business classified as a passive activity. As you now know, any trade or business activity in which you do not materially participate is a passive activity to you. But how do you know if you have materially participated? Luckily for you, there are 7 tests that answer this question, and you only need to “pass” one of them to avoid the “passive activity” treatment. You participated in the activity for more than 500 hours. In general, any work you do for the business counts, unless it is the type of work not customarily done by the owner of that type of activity or your main reason for doing that work is simply to reach 500 hours. Your participation was substantially all the participation in the activity of all individuals for the year, including participation of employees. In other words, if you essentially run the business by yourself you do not have to worry about the number of hours you actually worked. You participated in the activity for more than 100 hours during the year, and you participated at least as much as any other individual. You participate in multiple trade or business activities, each for at least 100 hours, and combined they add up to more than 500 hours. However, each activity in this grouping must be (if looked at individually) a passive activity. You materially participated in the activity for at least 5 of the last 10 years. You materially participated in a personal service activity for at least 3 years (regardless of how many years ago that was). For these purposes, personal service activities include activities in the fields of health, law, accounting, or consulting, or any other activity for which your personal skills/services (not capital) is the primary income-producing factor. An evaluation of the “facts and circumstances”. This is the least certain of all the material participation tests because you have to evaluate your situation and make a decision as to whether you materially participated, and hope that the IRS agrees. If you satisfy any one of these tests, then you materially participated in your trade or business and are entitled to deduct the losses against your other income. Please keep in mind that your real-estate related activities are considered to be passive activities regardless of whether your materially participated in them. However, there are two exceptions that we will be discussing in the next blog posts. What Do You Mean My Investment is a Passive Activity? Has anyone ever told you that your investment in a business or in real estate is a passive activity? Do you know what that means? Don’t worry, most people don’t. Before 1986, investors would create tax shelters for themselves by putting their money into investments that would generate tax losses but no actual economic losses. 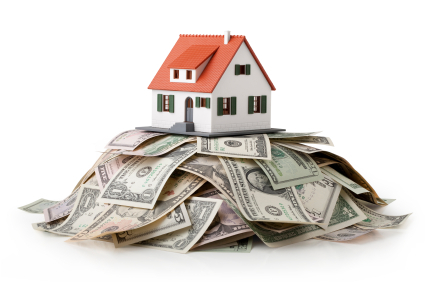 For example, they may invest in a rental property and then would rent the property to a tenant for an amount equal to the monthly expenses. The investors would then have no net cash inflow or outflow, but would be able to depreciate the property and claim a tax loss. Congress eventually caught on to the games that investors were playing with the Tax Code as it existed back then, and as a response invented the passive activity rules. 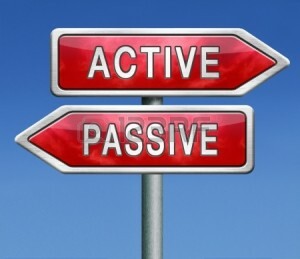 Under the passive activity rules, there are two types of passive activities. The first type of passive activity are trade or business activities in which you do not materially participate. In the next blog post we will discuss how this is determined. The second type of passive activity are rental activities (although there are two exceptions that will be discussed in future blog posts). The income and gains on passive activities will continue to be taxed just like any other ordinary income and gains. However, the losses on passive activities are not deductible but instead can only be used to offset passive activity income. The passive activities losses are deferred until they can either offset passive activity income or the underlying investment is completely disposed of (e.g., sold). In addition to not being able to deduct passive activity losses against your active income, the passive activity income is subject to the 3.8% Medicare Surtax.